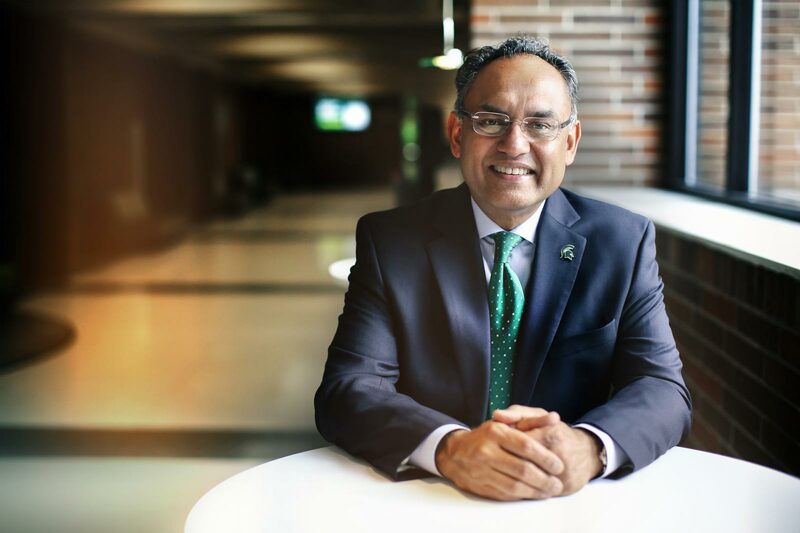 Sanjay Gupta joined the Broad College in 2007 as the Russell E. Palmer Endowed Professor of Accounting and chair of the Department of Accounting and Information Systems. He was appointed associate dean for MBA and professional master’s programs in July 2012. As associate dean, Gupta instituted curricular innovations, such as BroadWeek in the Full-Time MBA program; led a task force to evaluate the Weekend MBA program; and facilitated the launch of new master’s programs in business analytics and also in management, strategy and leadership. During his tenure, the college’s average GMAT scores of entering students have risen by 25 points, and the MBA program has increased its position in global and national rankings. Previously, he held positions in the W. P. Carey School of Business at Arizona State University, including the first Henry & Horne Professorship in Accountancy, Dean’s Council of 100 Distinguished Scholars, and faculty director of the master of accountancy and information systems and the master of taxation programs. Gupta has been recognized by the Broad College’s Executive MBA Class of 2010 with the Faculty Excellence Award, and by the Arizona Society of CPAs with the Accounting Education Innovation Award and the Outstanding Educator Award. He was selected to participate on the MSU Committee on Institutional Cooperation’s (CIC) Academic Leaders Program and the CIC’s Department Executive Officers’ Seminar. Gupta’s research focuses on corporate and individual tax policy issues. He has written extensively on corporate tax burdens, corporate responses to changes in tax incentives, and the interaction of taxes and financial reporting. He has been published in leading tax and accounting journals, including the National Tax Journal, the Journal of the American Taxation Association, the Accounting Review, the Journal of Accounting and Economics, the Journal of Law and Economics and Tax Notes. His research on the political economy of corporate taxation and state corporate tax issues has been cited in media, in court cases and at public policy forums. Based on downloads and citations of his research, he ranks in the top two percent of all authors in the Social Science Research Network (SSRN). Gupta has consulted for the Big Four public accounting firms, the U.S. government (Bureau of Economic Affairs and Internal Revenue Service), international consulting firms (Charles River Associates and Equity Methods) and Fortune 500 companies (Motorola and Sempra Energy), and has also served as an expert witness. He serves on advisory boards for the Axia Institute, MSU-CIBER and the Demmer Center for Business Transformation. Gupta formerly served on the University of Notre Dame Accounting Advisory Board, as well as the AACSB Accreditation Review Teams for various business schools. Gupta received his doctorate from Michigan State University, a master of accountancy from Bowling Green State University, a bachelor of laws from Calcutta University in India and a bachelor of commerce from the University of Mumbai. He holds non-practicing certifications as a CPA and a member of the Institute of Company Secretaries of India.